First aid kit contents: what should be in a first aid kit? 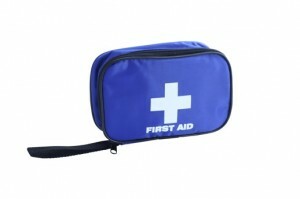 First aid kits come in all shapes and sizes, ranging from personal first aid kits to large workplace first aid kits. It’s always a good idea to keep a first aid kit at home and in your car, as you never know when it may be needed! The contents of your first aid kit can be customized depending on your own personal circumstances. Wound dressings and bandages of assorted sizes. These are used to deal with serious cuts and major bleeding. Make sure you have a variety of sizes (small, medium and large). Triangular bandages / slings. Triangular bandages can be used to make a variety of slings and to help splint injured limbs. Otherwise, you can carry pre-made collar ‘n cuff slings for arm injuries. Plasters of assorted sizes. Remember to include blister plasters. For those who are allergic to plasters, there are a variety of hypoallergenic plasters on the market. Antiseptic wipes. Try to find wipes which do not contain alcohol as these are gentler on the skin. Non-adhesive dressings and tape. Sometimes plasters are not the right shape / size to cover an injury, especially large grazes or abrasions. In this case, you can use a non-adhesive dressing secured in place with medical tape. Support bandages for sprains / strains. Emergency foil blanket. Normally large blankets are too impractical to keep with a first aid kit, so these small foil blankets can come in very handy to protect casualties from exposure. Sterile saline solution. This can be bought in small pods or larger bottles. You can use sterile saline solution to wash out eyes and clean cuts & grazes. Disposable ice-packs. Be careful as these can end up being quite expensive if you use a lot of them for sprains / strains. Faceshield / pocket mask for Cardiopulmonary Resuscitation to create a barrier between yourself and the casualty when giving rescue breaths. Disposable gloves. Try to avoid using latex gloves as an increasing number of people are allergic to latex. First aid guide / book. Any medication that you use. Hi-viz jacket. This is more relevant to a car first aid kit. If you are helping at a road traffic accident, it is always advisable to wear a hi-viz jacket to make you more visible to other road users. Remember that all first aid supplies should be sterile, in-date and protected from water & extremes of temperature. You should check your kit often to ensure that everything is still in-date. Keep a note of any supplies used so that you can replace them. This is not a comprehensive list, and certain regulations apply to first aid kits in the workplace. In the United Kingdom, the Health & Safety Executive publishes a list of suggested first aid kit contents. Great list! I forgot gloves, which is really important. I kid-themed band-aids, stickers, and even temporary tattoos in mine as well. No idea why a temporary tattoo makes my little guy feel better, but it does!